During a time of war, economic tribulation and a cultural shift in the American lifestyle, Jeremy Latchaw takes his experiences in the Global War on Terrorism, military and the Boy Scouts of America to shed light on what it truly means to be an American Patriot. 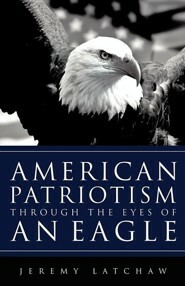 By examining value systems that have made America great, from volunteer hours to character development, Jeremy is able to piece together what makes the American Patriot and how that patriot can in turn make the United States an even better place to live. Jeremy Latchaw is an Eagle Scout from Michigan as well as a combat veteran having served in Operation Iraqi Freedom and the Global War on Terrorism. From 2000-2004 he served in the Army's 1st Battalion, 16th Infantry Regiment as a platoon leader, executive officer and personnel officer. Wanting to give back to the Scouting program Jeremy was commissioned into the Boy Scout profession in 2005. In 2007 he was mobilized with the Army Reserves to Kuwait as a strategic logistical planner for the War on Terrorism in Southwest Asia. Jeremy currently resides in Kansas and continues work to develop American Patriots for the betterment of the Nation. 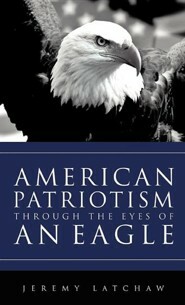 I'm the author/artist and I want to review American Patriotism Through the Eyes of an Eagle.